Today is the first day of a Fulton Sheen novena. Please join me in the prayers, which you can find here. 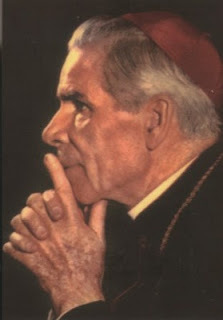 Also, If you would like to celebrate the ending of the novena on the anniversary of Archbishop Sheen’s death and happen to be in Peoria please come and pray in the Cathedral where Fulton Sheen was an altar boy, where he went to school, where he received his first communion, where he was ordained to the Priesthood, and where he was celebrated as Venerable! The Cathedral Mass on Sunday, December 9th will be celebrated at 10:30am by Msgr. James Kruse, J.C.L.